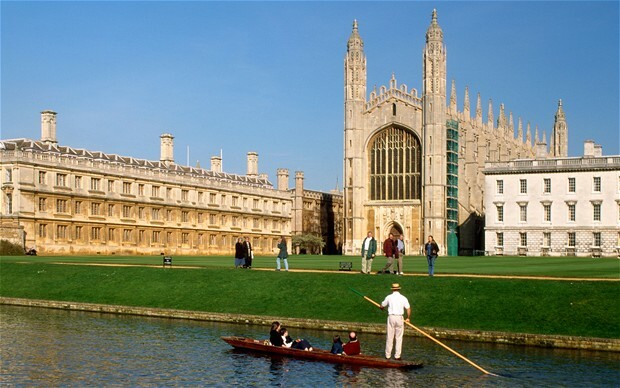 Every year, more than 250 Malaysians apply to the University of Cambridge, each and every of them willing to sacrifice that one spot in their limited UCAS applications to study in one of the most prestigious universities in the world. If you are reading this, you are probably one of them and applications may seem tedious and daunting. Therefore, this article will provide you with a simple overview of what to expect throughout the Cambridge application process. One thing that makes the Cambridge application different is the collegiate system. Cambridge is made up of 31 colleges, all different and special in their own way. So, what is a college? Basically, a college provides you with the accommodation, place to eat, a library, recreational facilities, pastoral care and supervisions (small group teachings). Meanwhile, lectures and exams are carried out by the university. So, don’t worry; you will have plenty of time to mingle with students from other colleges during lectures and club activities. When choosing a college, take note that some colleges admit only mature students (Wolfson, Hughes Hall, Lucy Cavendish, St Edmund’s), postgraduates (Clare Hall, Darwin) and some admit women only (Murray Edwards, Newnham, Lucy Cavendish). Also, do check whether the course you are planning to study is available at a particular college as some colleges do not offer certain subjects. Other factors you may want to consider include location, (you can search for the university map online and estimate the distances from a college to your faculty building, university library, town etc. ), facilities (dark room, music room, gym etc.) and admission criteria (if you want to be interviewed in Cambridge. as interviews in Malaysia are conducted irregardless of your college). If you have a chance to visit Cambridge, your instincts may also guide you to the college that fits you best. If you can’t make up your mind about choosing a college, you can always submit an open application where a computer program allocates you to a college. Chances are that you will love your college anyway. As most of you may already know, all applications to UK universities are made through UCAS. You will have to fill up the UCAS application form and this includes your personal details, qualifications, personal statement and details on other supporting documents. Filling up all these isn’t all that difficult as there is a step-by-step guide available in the UCAS website. Fret not as the UCAS application for Cambridge is very similar to that of other universities, except that you have to specify the college you wish to apply to, and that you have a much earlier deadline. Yes, no time to be sad about an earlier deadline; start filling up your UCAS form and start writing your personal statement ASAP! If you choose to be interviewed in Malaysia, you will have to complete the COPA form where you will have to fill in your personal details, application details, qualifications (yes, your UMS :/), topics you have covered in your Pre-U studies etc. There will also be some space for an additional personal statement and questionnaires which you can make use of to highlight your passion for your chosen course, your future career plans and other information you may not have the chance to mention in your UCAS personal statement. If you choose to be interviewed in Cambridge, you will have to complete the SAQ which is very similar to the COPA. Nothing to worry about, all you need to do is to provide your COPA reference number. The Cambridge interview is highly academic and is more often viewed as a mock supervision. It may sound weird at first, but the interview is supposed to be enjoyable as one will get the chance to discuss about a subject one is passionate about. The interview usually starts with some informal questions to break the ice before proceeding to the content where you and the interviewer engage in discussions. Below are notes collected from current Cambridge students, teachers, previous applicants and miscellaneous resources, which you may want to keep in mind when the interview invitation knocks on your inbox. Read over your personal statement and any written work submitted as you may be asked questions based on them. Revise what you have learnt in your Pre-U studies as you may be asked to develop ideas from your existing knowledge. Do a little bit of extra reading about your course to have more topics to talk about in the interview. Know why you applied for that course and why you applied to that particular college (if you did select your college). For your attire, just wear something smart, reasonable and something you feel comfortable in. Seriously, you don’t want to wear something so tight that you can’t breathe. You don’t have to wear a suit but if you want to, feel free to do so. Have enough sleep the night before the interview to keep your mind sharp. Be polite and smile to the interviewer (Yes, do it even if you are a nervous wreck who sweats due to anxiety). Neither you nor the interviewer will enjoy the interview if you look like you want to hurry out the room the next second. Think before you speak. Take a brief pause before replying. Ask the interviewer to repeat the question if you don’t understand it. Think out loud as the interviewer will want to know how you think. If you don’t know the answer to a question, don’t panic. Be polite and ask for assistance. Again, the interview is supposed to be a mock supervision. Thus, the interviewer will want to know how well you adapt to the Cambridge learning system. Move the conversation along (eg. Don’t give one-word answers). An awkward silence will be just… well.. awkward. Keep in mind that the interviewer is trying to get the best out of you. It is very common to think of all the mistakes made during the interview and all the ‘what I could have done’s. However, since the interview is over, try not to worry and to focus on whatever is coming up like an admission test, a second interview, a semester exam next week, your next dental appointment etc. If you choose to be interviewed in Cambridge, do check your college’s website if you have to sit for any written tests. If you choose to be interviewed in Malaysia, you will have to sit for a 2-hour written test, usually a few days after the interview. The only exceptions are those applying for Medicine and Veterinary Medicine. More information about the written test will be emailed to you together with the details of your interview. Law Chiw Fern Jasmine is a half Penangnite-half Kedahan who receives a conditional offer from the University of Cambridge to read Mathematics. 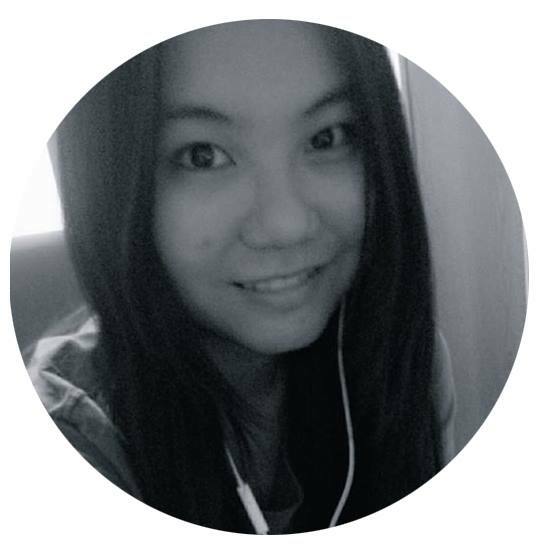 She is sponsored by the Malaysian Public Service Department and is currently in love with food.